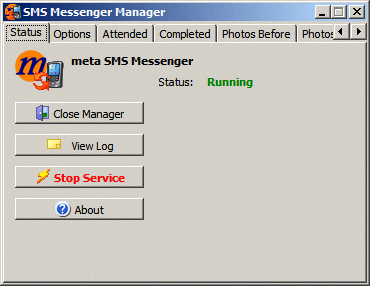 SMSMessenger is a service application which constantly monitors an SMS/Email gateway designed to receive contractor advice on Job Attendance and Job Completion status. The service also provides a pure email interface for all functions and additionally provides a job query feature where contractors can research the job history and status of jobs which are allocated to them. The service is set to log all activity including sufficient information to provide reconciliation against SMS provider billing as well as provide adequate error reporting and heartbeat emails to ensure uninterrupted service.